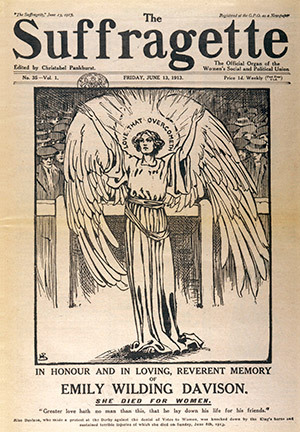 Martin Pugh reconsiders the motives and impact of the suffragette Emily Wilding Davison. A century after Emily Wilding Davison’s dramatic death at the Epsom Derby in June 1913 aspects of this incident remain uncertain. Did she intend to commit suicide? Was she acting as part of a wider suffragette plan? And what impact did her dramatic intervention have on the wider cause?